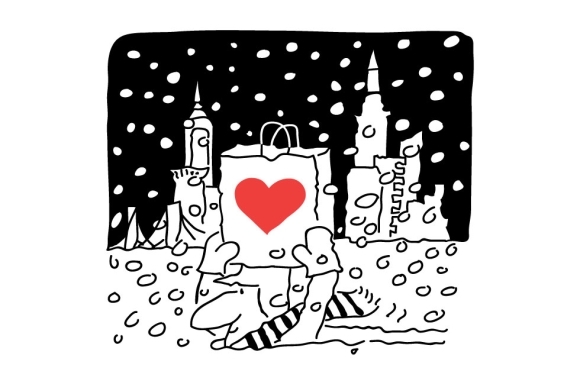 Your gift of holiday tribute cards is a great help to our clients living with HIV/AIDS, cancer, Alzheimer’s disease, multiple sclerosis, and other life-altering illnesses. For a minimum of $15 per name, God’s Love We Deliver will address, stamp and mail tribute cards to your friends and loved ones with your return address on the envelope. Just send us your mailing list and we’ll handle the rest! These cards are also available as an e-card! Please contact us at development@glwd.org for more information. 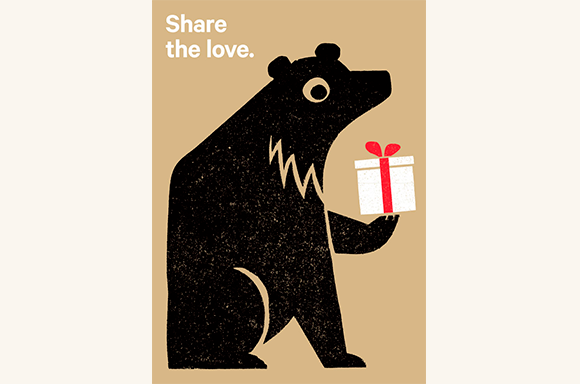 This bear cares to share the best of gifts, the gift of love. Roy Lichtenstein elevated commonplace images to pop art in the 1960’s. 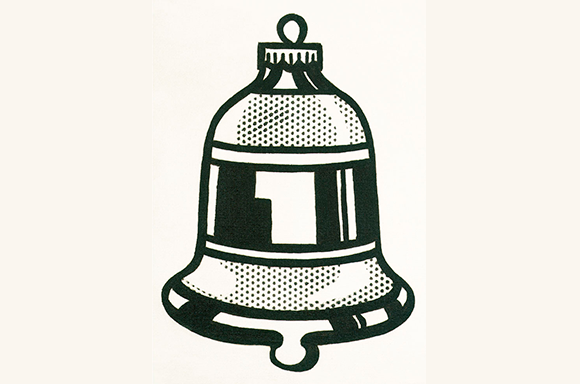 “Bell” was painted in 1963. 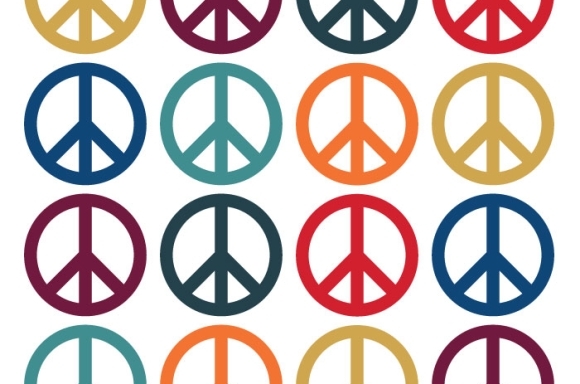 24 now-iconic symbols affirm what may be the most cherished and universal human value. We still love the polka dance and the dots. 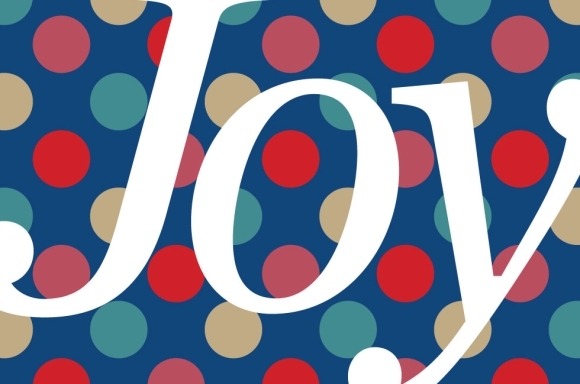 Joy speaks for itself at this happy time of year. Everything our volunteers do for others is done with love; it means so much to so many. 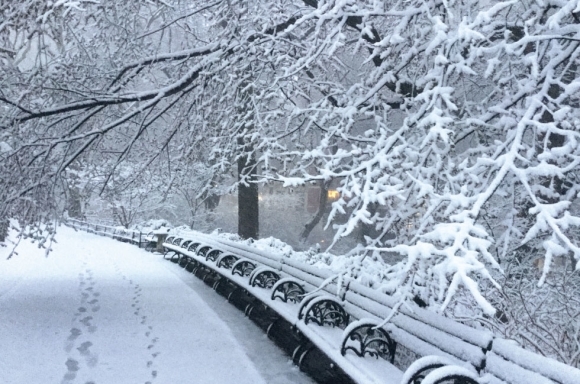 Volunteer Ed Prostak captured this lovely photo in Central Park on a winter’s dawn.